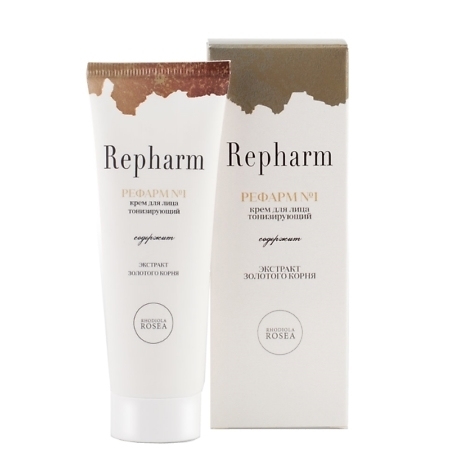 Tone-up face cream Repharm #1 is recommended as a basic skin care for the mature skin of every type. The cream activates metabolic processes due to the botanical ingredients usage like the rhodiola rosea root, crataegus and horse chestnut extracts, citric and succinic acids, vitamins and Bisphosphonic Complex. 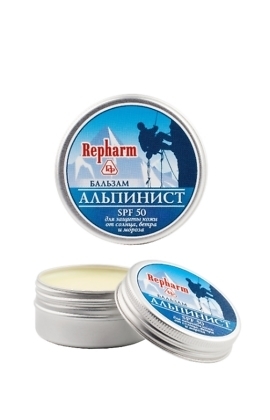 Repharm #1 face cream moisturizes, lifts and unwrinkles the skin. Aqua (Water); Glycine Soja (Soybean) Oil; Emulcifying Wax; Corn Oil; PEG-400 Stearate; Theobroma Cacao (Cocoa) Seed Butter; Cera Alba (Beeswax); Cetearol; Lanolin; Sorbitol; Dimethicone; Rhodiola Rosea Root Extract; Crataegus Oxyacantha Extract; Horse Chestnut Extract; Sodium Potassium Bisphosphate; Lecithin; Retinyl Palmitate; Tocoferyl Acetat; Solanum Tuberosum (Potato) Starch; Disodium EDTA; Citric acid; Succinic Acid; Triethanolamine; Sodium Adenosintriphosphate; Parfum (Fragrance); Methylchloroisothiazolinone; Е 124. 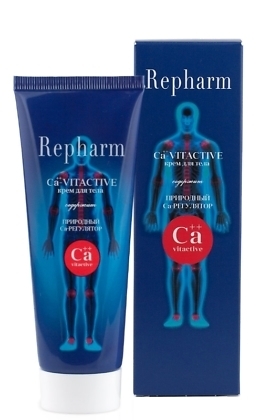 Due to the active regulating Bisphosphonic Complex and smooth cream structure the free calcium turns into water-soluble condition and excretes. The result of using is a calcification dark spots and wrinkles removing. Recommended to use the cream both morning and night spreading on the clean face and neck skin.